Hi my name is Daniel. I am a CERTIFIED (Award Winning dog Trainer). I specialize in BEHAVIOR REHABILITATION! 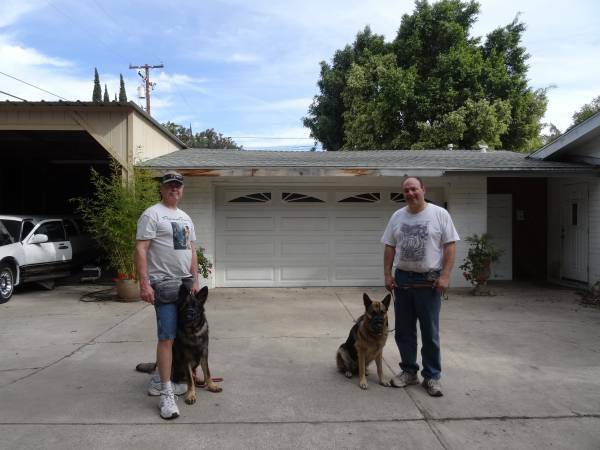 I have over 37 years of experience raising and training many different breeds of dogs. Please SEE my FACEBOOK page & Website , OCK-9Services, for references, training videos, and more. 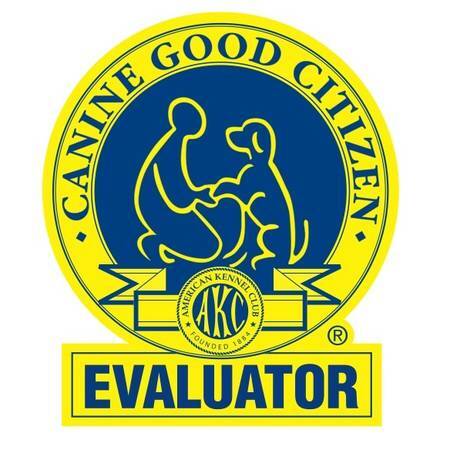 Member of the Association of Professional Dog Trainers and the IAABC= K9 Behavior Association. At OCK-9Services we know that different breeds and temperaments require various styles of training. I gently handle the smallest of breeds, and firmly handle the large, dominant and aggressive breeds as well. I use the (Training Methods) necessary for each unique dog. I use verbal markers with hand signals. I will show you how to use your body language to demonstrate leadership and get results. Optional: My "Self Help Obedience Training", ( Online and email support ). This coarse is $300. This covers #1 All obedience commands #2) email support for 1 month #3) Written detailed training information on how to get your dog to sit, down, and so on. #4) You will get videos showing you how to train your dog. #5) Set up includes a 15 minute phone call. Training starts at $94 per session. See the training list provided. Pricing for Rehabilitation training is on a case by case basis. Call for a quote. Discounts for a package of 4. You will only need 3 to 4 sessions for most training with me. Some training may take as few as 2 sessions!! Most trainers will require 4 to 7 sessions and others have a 1500.00 minimum program. 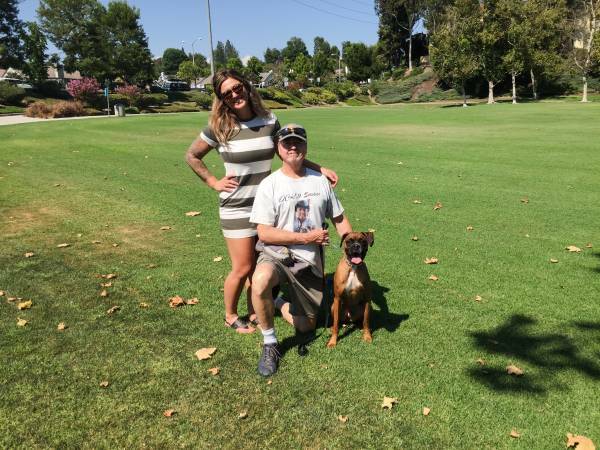 I have more experience raising & training dogs than 90% of the trainers in So Ca. I guarantee your satisfaction by the end of the 1st session or there is only a minor processing fee of $40. 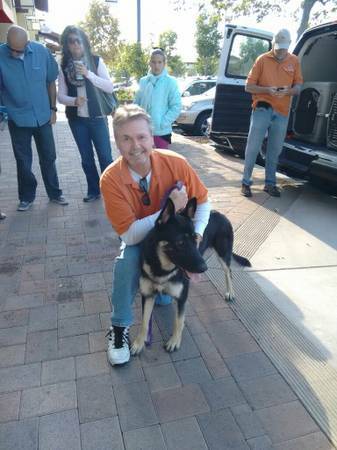 I have over 27 thousand hours of Hands on K9 Training experience and K-9 education. Getting your dog social, plays a big role in his general behavior. 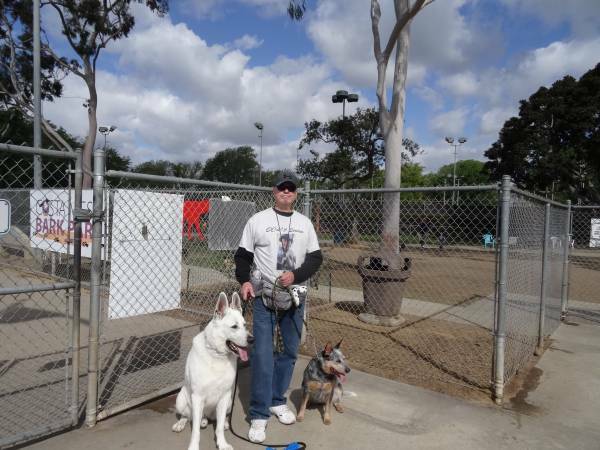 I am active with German Shepherd Rescue of Orange County and ICare dog rescues. 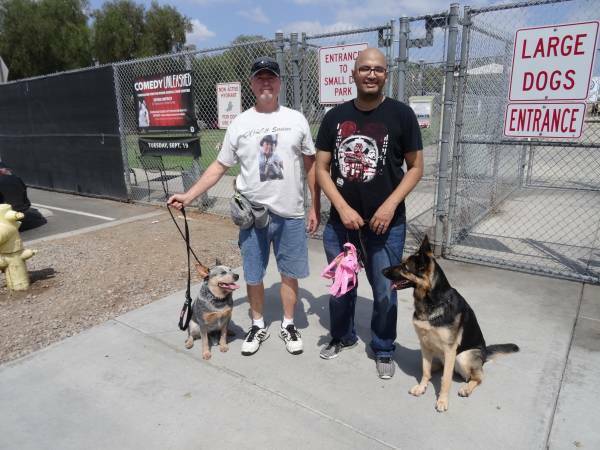 I help train their dogs to be ready for adoption and hold them at events, among other duties. As a member of the Association of Professional Dog Trainers and IAABC I am abreast of new training techniques and behavioral education. With the LEASH training skills I teach you your dog will be walking by your side in (ONE) session!!! MONEY BACK GUARANTEE: If your dog does not make a dramatic change in his PULLING or you are not satisfied for any reason the 1st session is FREE. Just ask my clients!!! See my VIDEOS on Face Book and my website for reviews and training skills . I make training fun, easy, and show you how to make it part of your daily routine. Call for a custom quote. All Training programs include details for training thru email. I am an expert at REHABILITATION of dog problems! Anxiety, Fear, Aggression, afraid to go in the pool or car??? I CAN HELP! 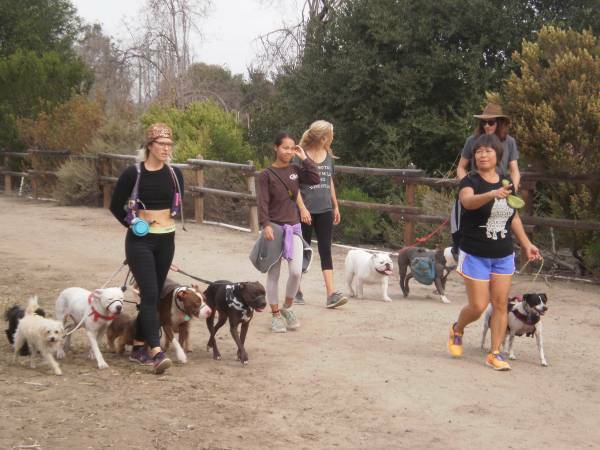 B) Socialization and the stress free walk. H) Get them adapted to being handled, noises, health inspections, and stress. O ) I sell Advanced trained Dog's!! OCK-9Services..... WWW.OCK-9Services.com for reviews, videos, and training information. 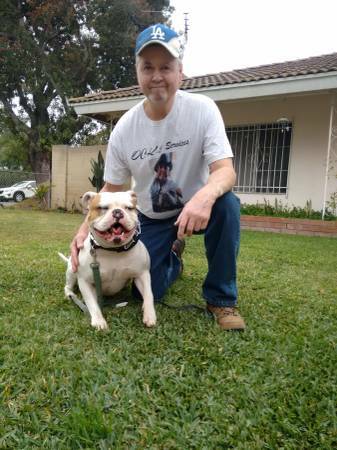 I have countless success stories of dogs, YOUNG OR OLD, getting rehabilitated. Be a Pack Leader and call for a FREE CONSULTATION and EVALUATION.